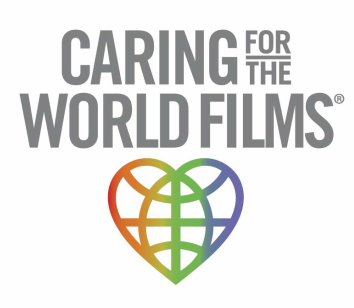 Caring For The World Films has produced a number of award winning documentary shorts. Of the 30,000 humanitarian organizations operating in Nepal, one tiny Nepalese NGO accomplished what no other mission could. Award-winning humanitarian journalist Debi Lang spent three years documenting the efforts of this humanitarian organization, which has made a significant impact in the lives of thousands of rural Nepalese villagers. Hearts In The Himalayas profiles the efforts of Himalayan HealthCare (HHC), a driven and dedicated volunteer organization that, for the last twenty years has provided medical care, education, and income generation opportunities to the mostly forgotten people living in the remote foothills of the Ganesh-Himal mountain range. HHC volunteers, led by tenacious co-founder Anil Parajuli and his dedicated Nepalese staff, endure harsh conditions and treacherous terrain during a trek to bring much needed medical and dental care to these areas. The film integrates compelling footage shot during an Everest-size expedition fraught by challenges with a powerful narrative as Parajuli takes them into the stunning beauty of the Himalayas which mask the brutal conditions and poverty the villagers face everyday. Part two of an award-winning three-part series showcasing the efforts of Cape CARES, a humanitarian organization which provides medical and dental care to isolation area of Honduras. Fifteen-year old high school student, Luigi Breve' Mazzoni is a typical urban teenager who enjoys a comfortable life in the capital city of Tegucigalpa Honduras. In 2008, Luigi and students from a private school volunteer as translators for the humanitarian aid organization Cape CARES. Far away from the remote rural areas of his country and unaware of the level of poverty of their fellow Hondurans suffer in these villages, the students, especially Luigi are deeply affected by the experience. In 2009, Luigi ventures back to San Marcos Honduras with filmmaker Debi Lang (Caring For The World Films), to produce a documentary to share with children and teenagers about rural life, Cape CARES and their exhaustive efforts to help the people in the remote villages of El Algodonal, Los Encinitos, and San Marcos. He hopes by viewing this video, children and young people will be motivated to become involved in humanitarian causes not only in his country, Honduras, but all over the world. In 1988, Massachusetts dentist,Ted Keary and seventy enthusiastic medical volunteers traveled to one of the western hemisphere's poorest regions, Tela, Honduras. Over two decades later, dedicated teams armed with a passion to help others, continue to conquer harsh conditions in order to provide medical care to the remote villages no one else cares to go to. Road to San Marcos profiles one committed team's efforts led by Dr. Randy Baldwin and Christel Autuori. San Marcos is a very rugged and remote village located in the southern region of Honduras. Adventurous volunteers must not only live and work in primitive conditions; they must also endure the treacherous mountain roads that welcome all who come. It is without question, the most challenging site Cape CARES serves.